WESTLAKE ACADEMY of ART was founded by George Paliotto. George is a working artist and teacher. He has taught at Cal Lutheran University and the California Art Institute. For many years George has had his work represented in galleries and featured in national shows. He has primarily done figurative work, and has most recently focused on one of his passions -- Western and Native American Indian art. George's work has made it to the Saturday night stage of the nationally recognized C.M. Russell Museum Auction in Great Falls, Montana. He is also involved in many other shows, and he does portrait commissions. George works in Oil, Watercolor, and Charcoal/Pastel. He is a member of the American Impressionist Society, the Oil Painters of America, the Portrait Society of America, and the National Watercolor Society. George was very fortunate to study art at the California Art Institute under the apt tutelage of Glen Orbik. Glen was a very successful and talented illustrator and teacher. It was Glen who was responsible for providing the strong foundation that has helped so many artists succeed in their art careers. The Westlake Academy of Art is built on the foundational concepts that were taught by Glen Orbik at the California Art Institute. You might say the two schools share some of the same DNA. The WESTLAKE ACADEMY of ART is not confined to this teaching approach but uses it as a foundation and incorporates a variety of methods and techniques to help students achieve the best results. This core understanding about drawing and art is derived from Glen's teacher, Fred Fixler. Fred was trained by Frank Reilly at the Art Students League of New York. Fred became a famous illustrator and came out West to work in Los Angeles. He eventually became a popular drawing teacher and started what came to be called the California Art Institute. Fred trained several highly successful artists, including Glen Orbik, Morgan Weistling, and others. Reilly was teaching in the 1930s though the 60s. He was a student of George Bridgman, who also taught at the Art Students League. And it was Bridgman who studied with one of the most famous artists of the French Academy: Jean-Leon Gerome. So this is the rich heritage of the Westlake Academy of Art that is linked back through this lineage: Orbik - Fixler - Reilly- Bridgman - Gerome. The beauty of what Reilly did was to take the complex information of the human anatomy and organize it in a way that students could understand and utilize in their drawings. It became known as the Reilly method and utilized organizational tools such as the "planes of the head" and the "abstraction." 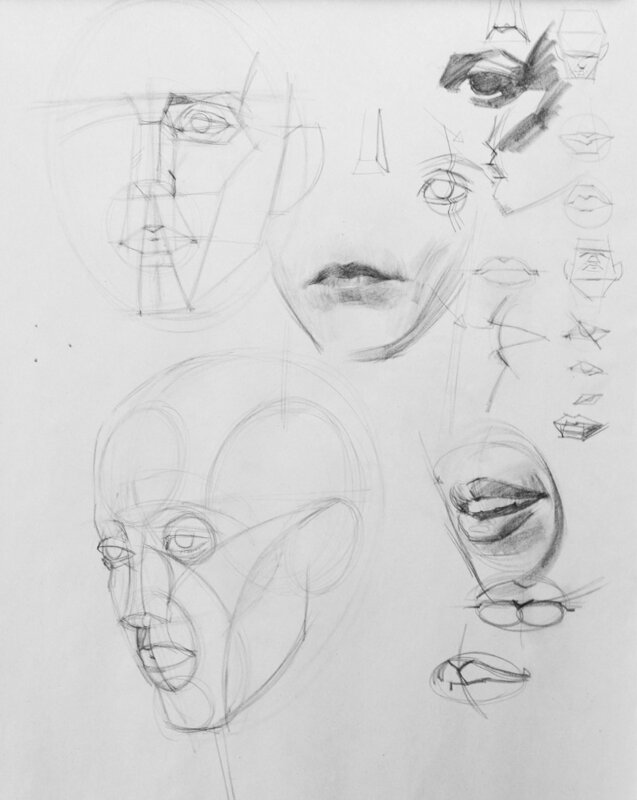 These tools help students grasp the information they are presented with from a live model and transform it into a great drawing. The WESTLAKE ACADEMY of ART is not confined to this teaching approach but uses it as a foundation and incorporates a variety of methods and techniques to help students achieve the best results.